Len de Vries is our new guitar player. We are very happy to have him on board. We played about 6 shows, some of them you'll see hear below. 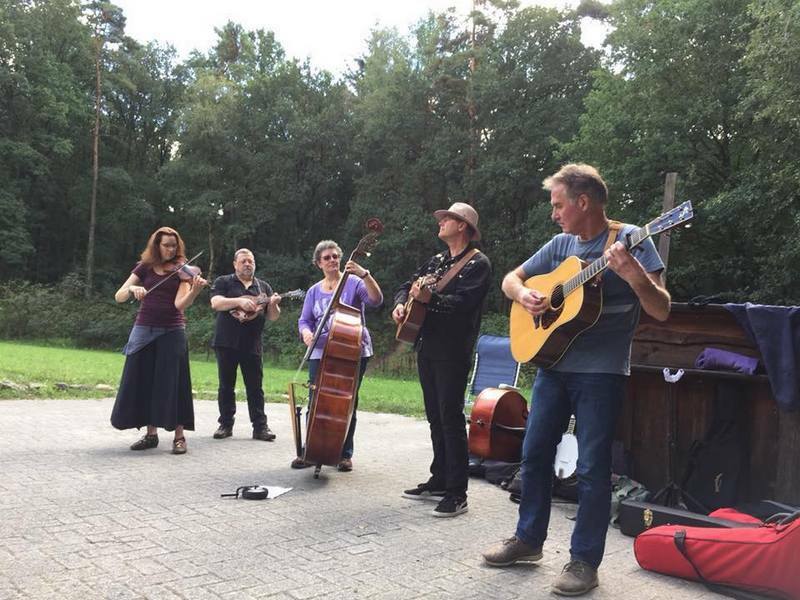 At the end of november Wouter decided to leave the band, he will keep playing the guitar ofcourse, but het won't be playing bluegrass with the band anymore. We will still see Wouter at picking party's, festivals and lazy weekends. We wish him all the luck in the world with his new musical adventures. 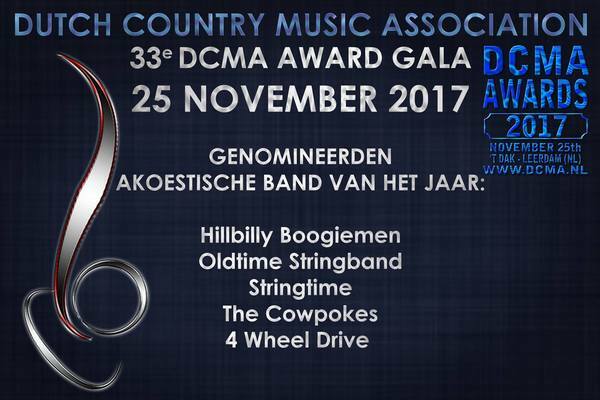 We like to thank everyone in the Dutch Country Music Association who voted for us, we've been nominated for "acoustic band of the year", for the second time. Who knows, maybe one day we will win :-). 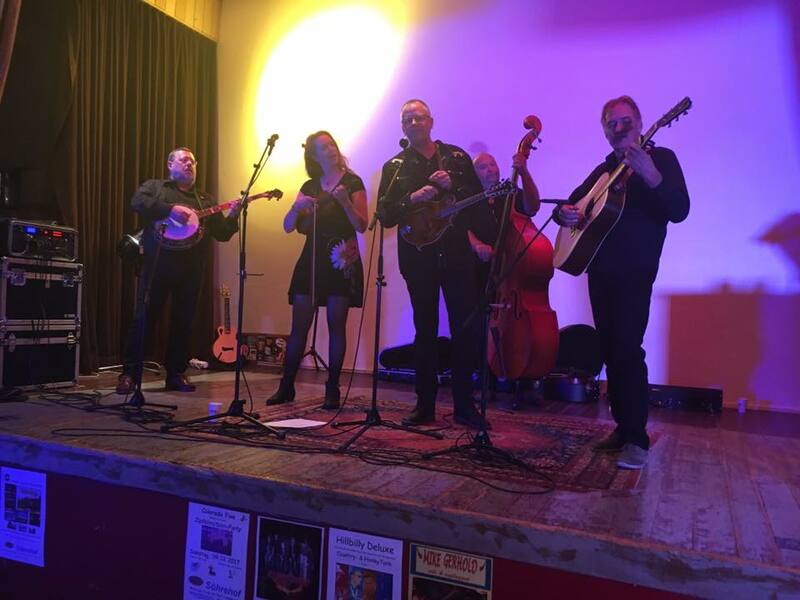 Last year, Hans, Laura and Bert played at the Castle Picking Party with The Hillbilly Holler, this year they'll be performing with Stringtime! 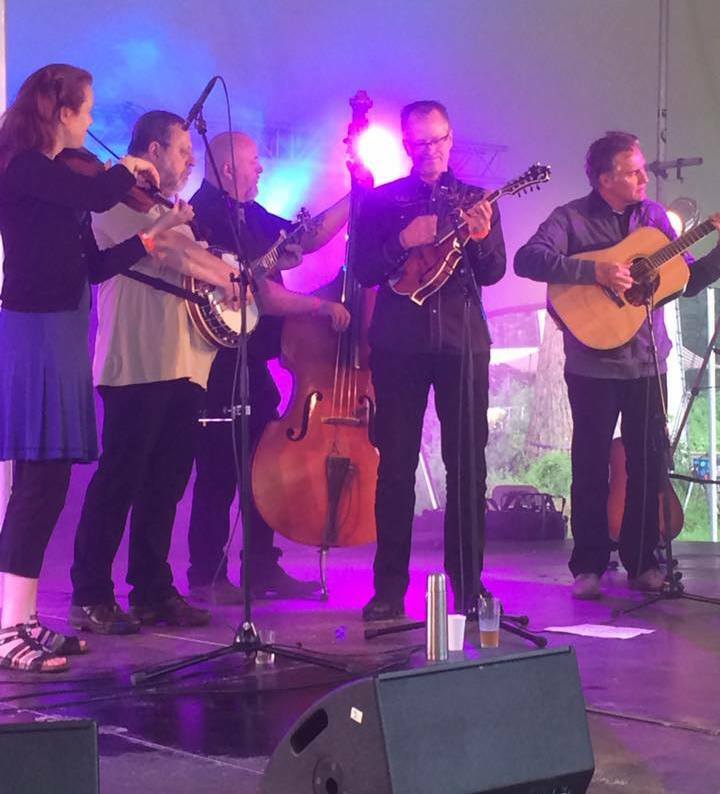 Thanks to everyone who attended the first edition of the Centergrass Bluegrassfestival in Hessen in Germany. We had a great time! We played at the last EWOB festival in Voorthuizen. We had a lot of fun on stage and of stage. The video below is made by Ali Dentinger, thank you! 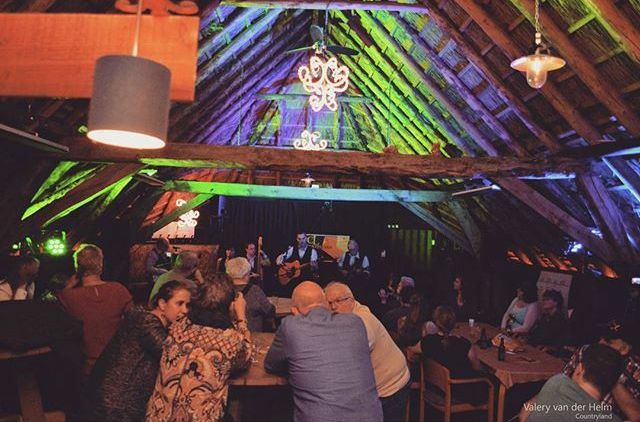 Zondag 17 maart zijn we te gast in muziekcafé Ma Kelly's in Frieschepalen. Kom allemaal langs mensen, het is een lazy sunday afternoon, maar we maken er wel een hele leuke lazy sunday afternoon van. Aanvang 15.00 uur!!! Andijk was great. One of the finest dobro players in Europe, Knut Hem from Norway, paid us a visit. It was a real treat for us and for the audience to have him on stage with us. We had a very nice experience in Fryslân. 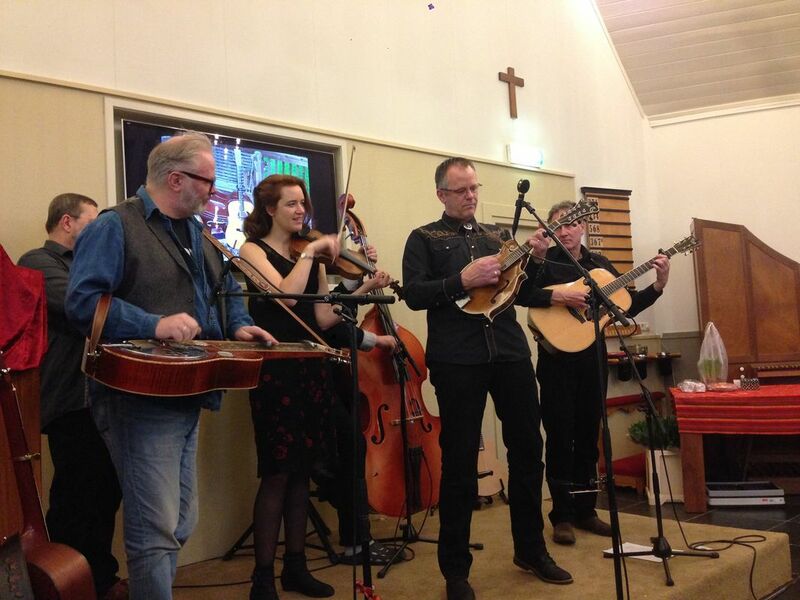 After performing at a great radio/televisionshow on friday we did a houseconcert on sunday. With 45 visitors the place was packed. At the end we had a standing ovation and a lot of compliments from the audience. We will definitively be back in Fryslân again!!!! The Dutch Country Music Association nominated us for the award 'Acoustic band of the Year 2016'. 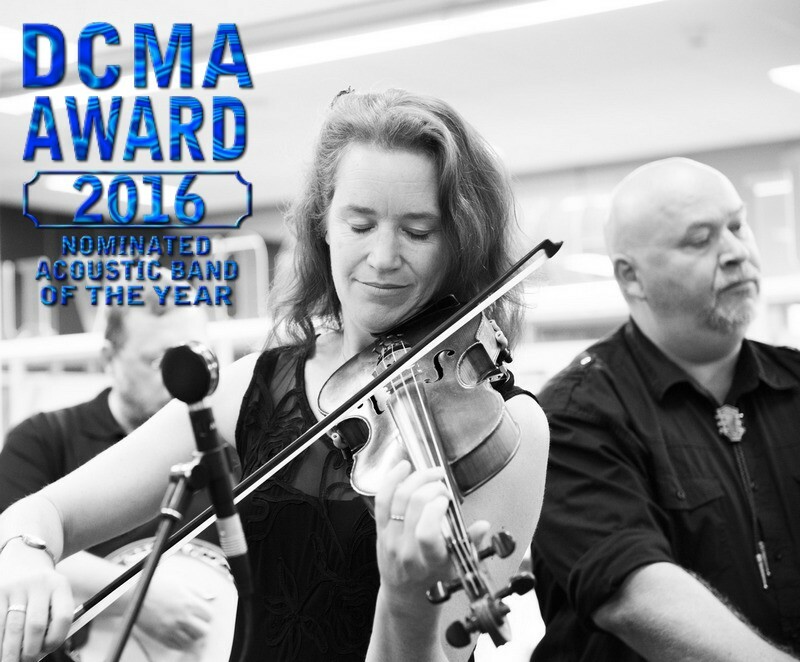 We don't consider music to be be a contest, but we like to thank the DCMA for the recognition. In december we will do a concert in Velp, organized by a Country Radio Show. Maybe this nomination will attract more visitors. Great, as long as they know we're a bluegrass band!!! We had a rehearsal weekend in Linde. 3 Days of making music, discovering new songs and we played at a great new festival, the WijLand Festival in Dronten. We had a real nice weekend with shows at the EWOB festival and at Cultuurpodium VanSlag with our friends from the Oslo Grass Ensemble. Our next show will be in Enschede on the first of june! The new Picking Party location in Haastrecht had a great stage and the audience was amazing. We will rehearse a couple of times and then we will play at the EWOB festival and we will play in VanSlag together with the Oslo Grass Ensemble! Last weekend we had a rehearsal and we prepared for our show at the Annual Picking Party in Haastrecht on the 28th of february. 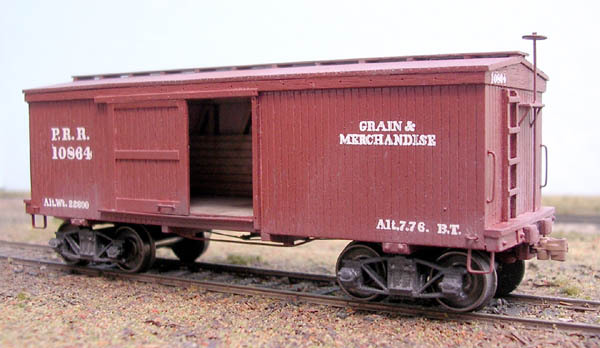 Every band has to play an original train song, our song was written by Bert. 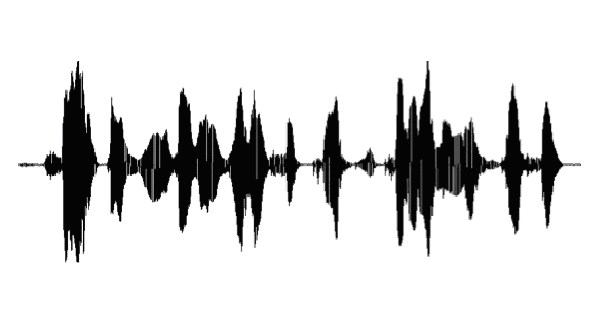 You can hear it in Haastrecht! 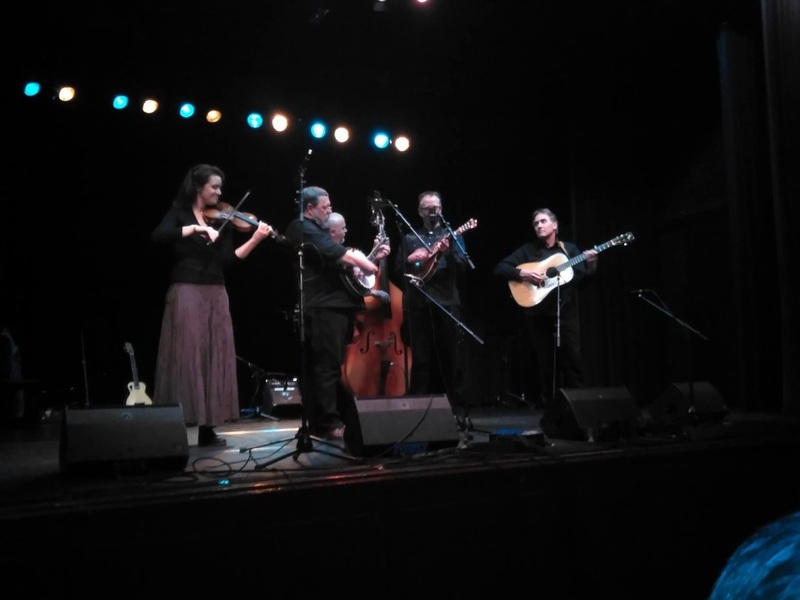 Wintergrass was great, as always! We played right after a realy nice set of Jan Henk de Groot, a great Dutch singer- songwriter. Wintergrass is a great tradition at the end of each year. Special thanks to Kevin Lynch who played guitar for us. For the second time we will be guests of radio Countryland. We will do 6 songs in the radioshow, afterwards we will play a set for the people who came to listen to the show. You're welcome at Schaapskooi 'Het Heemhuus' in Stroe on saturday february 6. 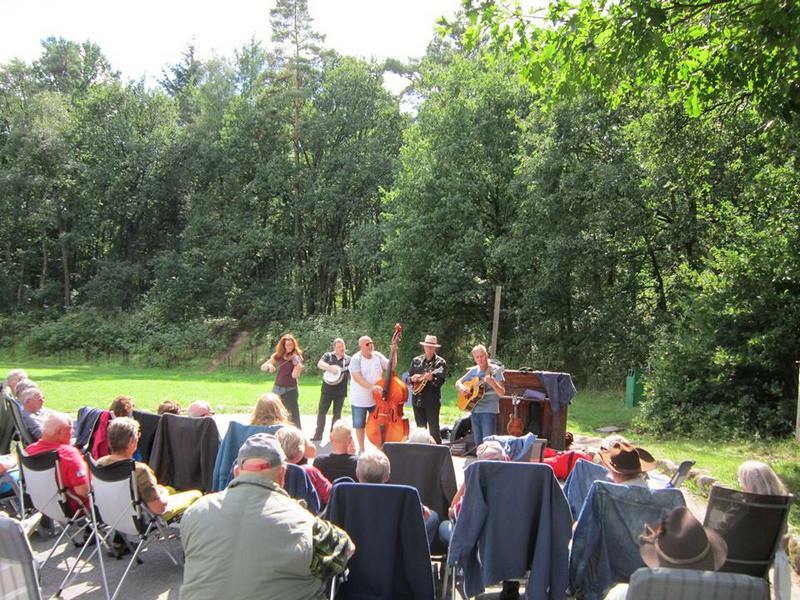 The picture was taken at a previous Countryland-Café concert by Valery van der Helm. 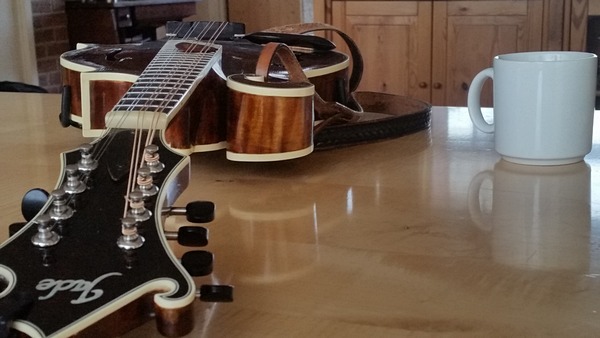 We've put a couple of songs on Soundcloud, so if you want to hear Stringtime, please click here. 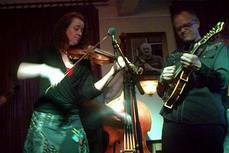 The rehearsal with Kevin went great, we're ready to play at Wintergrass, we're looking forward to it! We've been invited to play at the Wintergrass Festival in Groningen on december 30. It will be our second time at the Wintergrass festival. Wouter Pothoven can't make it, Kevin Lynch will be our guitarplayer. The festival is sold out! After some great shows in Onnen and two in Groningen we actually had the pleasure of a rehearsal to practice some new material. 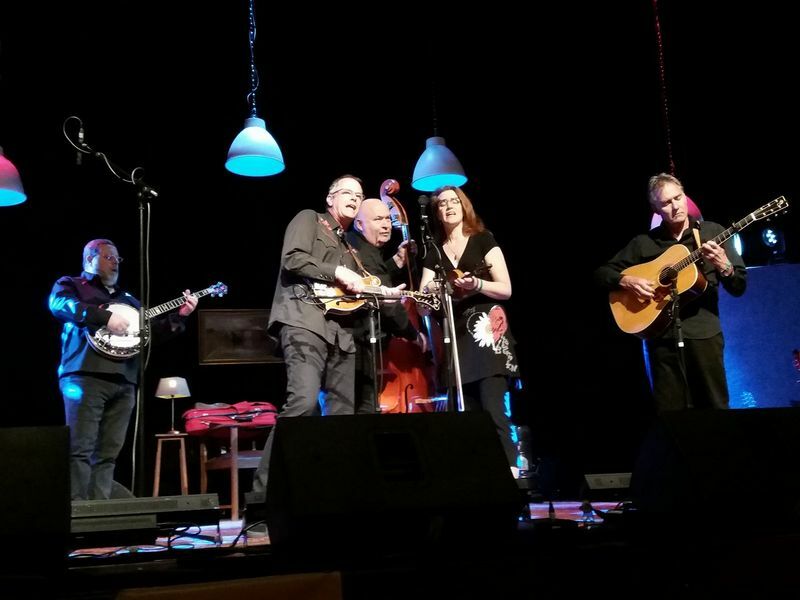 Our next show will be at the Bluegrass Beeg festival in Grevenbicht next saturday. A lot of great bands are performing there, it should be a great day! Jan, Wouter, Hans and Laura were being portretted in the book "High Lonesome Below Sea Level, Faces and Stories of Bluegrass Music in the Netherlands". The book was written by Loes van Schaijk, the pictures were taken by Marieke Odekerken. In may the first book was handed over to Doyle Lawson. Now there is an exhibition of some of the photos in the public library in Groningen. We'll be playing as part of the opening of this exhibition. The Low Country Bluegrass Festival was great! It is one of the best organized festivals we ever played at. Thanks for having us, we had a great time! 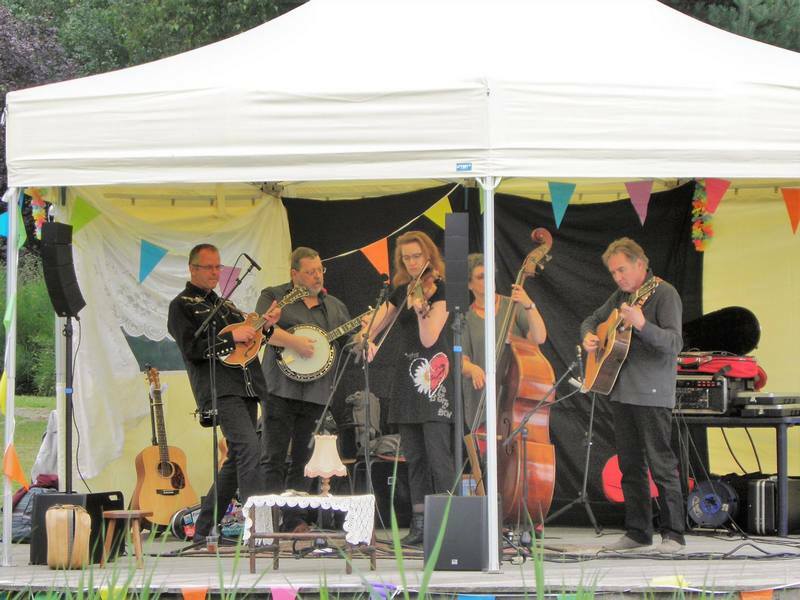 Our next show will be at the "Low Country Bluegrass Festival", the only Bluegrass festival in Belgium. Great weather yesterday at the BoetnDeure festival in Odoorn. And great weather meant we were playing in front of a great crowd. I've never seen so many people at the BoetnDeure festival. We received a lot of compliments after the show, so we must have done something right. We played at the MidWob festival in Zoeterwoude, together with the Babes in the Grass. We played in front of a fantastic audience, thanks everyone! 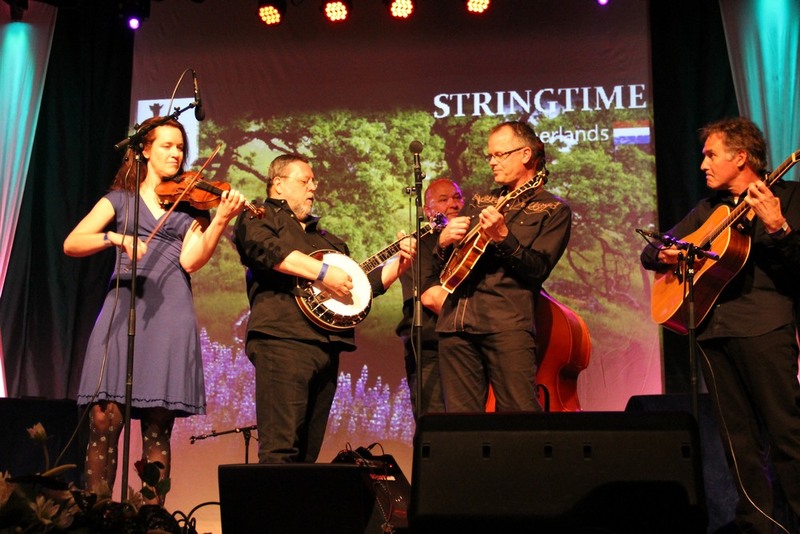 For the second time we played at the Alie Rohling Festival, to raise money for the KWF Kankerbestrijding.